I've spoken about the Sleek Solstice Palette many times on my blog, but to my surprise I have never dedicated a full post to it. This highlighting quad is made up of four versatile shades; 1 cream and 3 powders which add an overall glow to your complexion. If you're looking for a high quality and incredibly pigmented palette then this one is for you. 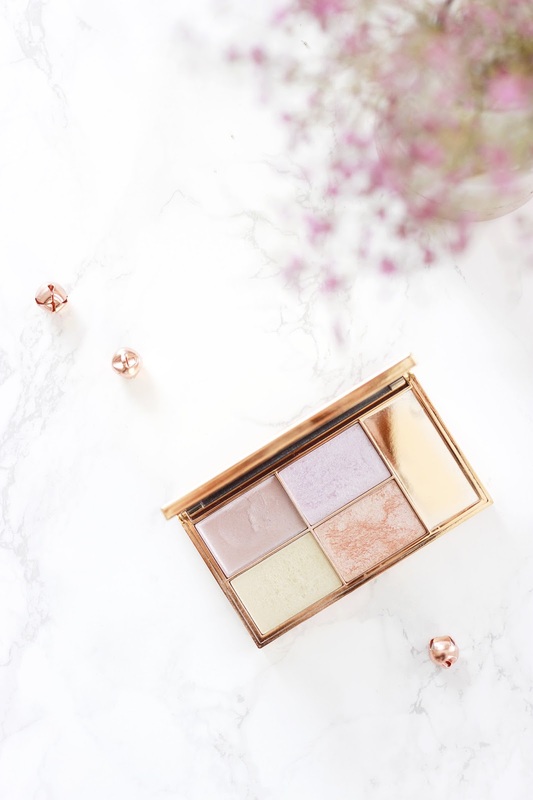 As I was scouring the aisles of Boots many months ago, this palette caught my eye with its luxe gold casing and divine shades which I knew would suit my fairly pale skin. Ecliptic, Hemisphere, Subsolar and Equinox are the four shades that make up this quad; Subsolar and Equinox being the two go-to shades as they create a 'glow from within' look on the skin. Ecliptic, the cream offering, is the perfect consistency to wear under the other powder highlighters as it prolong wear and intensifies the pigmentation. Hemisphere is my least used shade as the purple hue doesn't suit my complexion and has an overwhelming amount of shimmer in it. Once applied to the tops of your cheekbones, your brow bone and across your cupids bow this gives a sheen to the complexion which can be sheered out or built up to create an almost 'wet look' to your skin. I prefer to apply it using a brush, but if you need a top up it's super easy to use your fingers to get a precise application. Despite it being priced at under £10, the highlighters themselves are dreamy to touch and the casing is extremely luxe - An ultimate high street steal. Have you tried the Sleek Solstice Highighlight Palette?